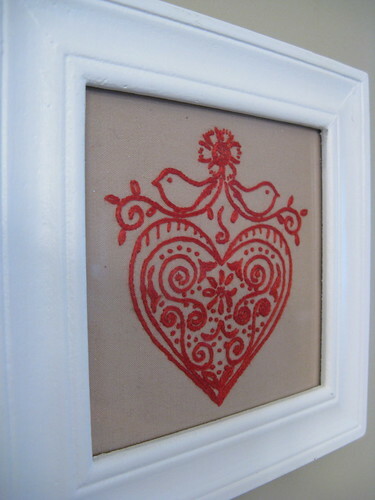 For my mom’s birthday I made here a wall hanging using the Andrea Zuill’s Heart, Birds & Flowers pattern. 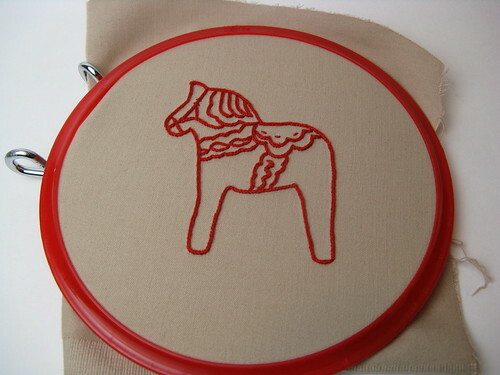 She wanted another piece to go with it & I suggested a Dala (Swedish) Horse since she has a Swedish theme going in her kitchen & dining room. 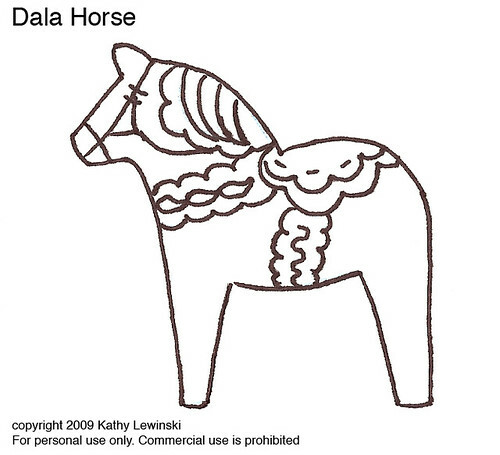 I looked at lots of pictures of Dala Horses on line (as well the ones my mom had around her house) & came up with this. Since I couldn’t find a pattern for this anywhere I thought I’d share this pattern with all of you. I did it in red work but you can make it more traditional by adding blue, green & yellow to the trims. If anyone stitches this up I’d love to see it. 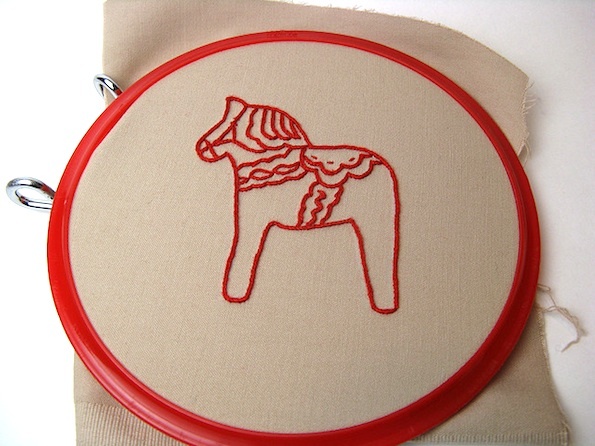 10 years ago by Kat in Embroidery , Embroidery Projects , Needlecraft , Projects | You can follow any responses to this entry through the RSS feed. You can leave a response, or trackback from your own site. I bet your Mum is going to love it. It looks great! So simple and lovely! I have a Dala Horse that my great aunt Rose left me. I didn’t know it was called “Dala” though. we call them 'Dalina', I think that's what the folks in Upsaala said. You don't see them very often; way to go! They sit in a small window and are attacked by the occasional humming bird.